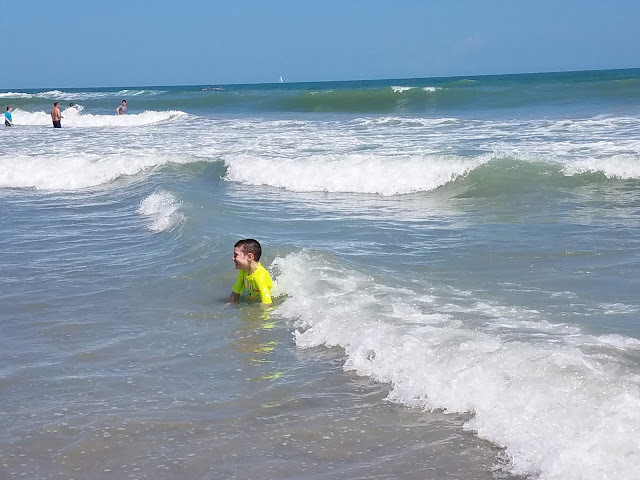 The morning after our fourteen hour Disney Day (read about that day here) started late, as predicted, but not too late because we had a check out time and a very important meeting that day: the minis first time in the ocean. When we woke up, we all got our swimming suits on so we could go right to the nearest beach. 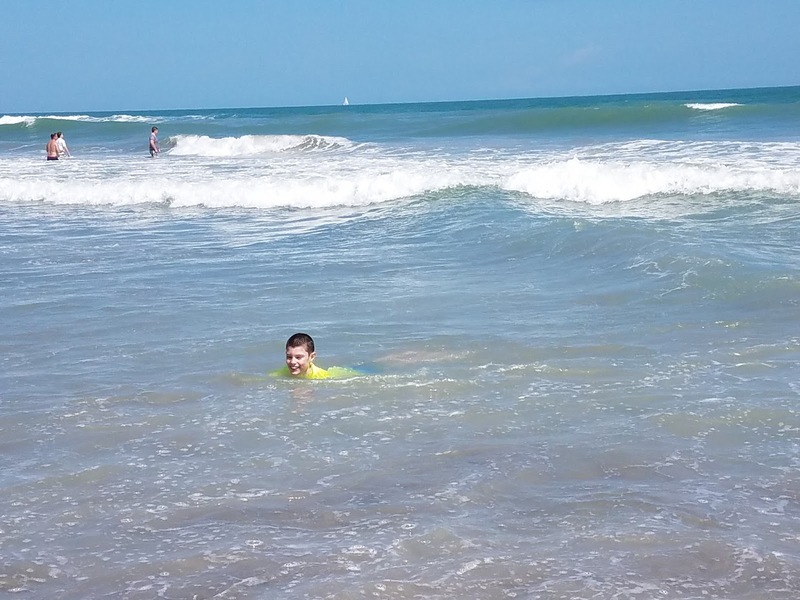 That's when I discovered I failed to pack my own bathing suit top. I did such a good job packing for everyone but myself. Go figure. 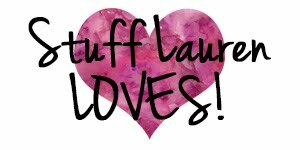 Luckily, we were close by a Target and made a pit stop for a new top (and some hummus because, yum). 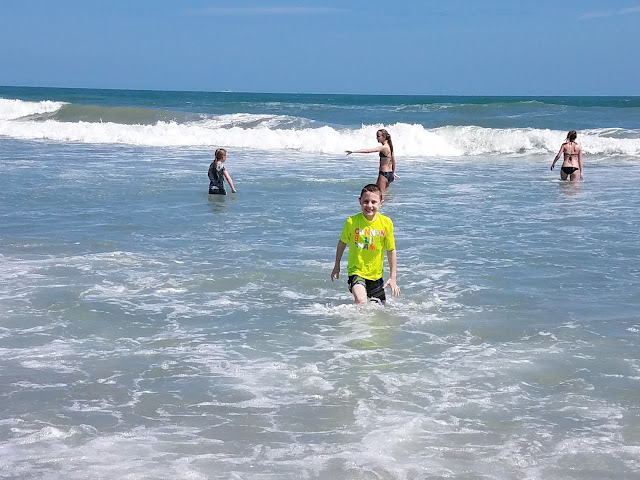 Then it was on to the beach! 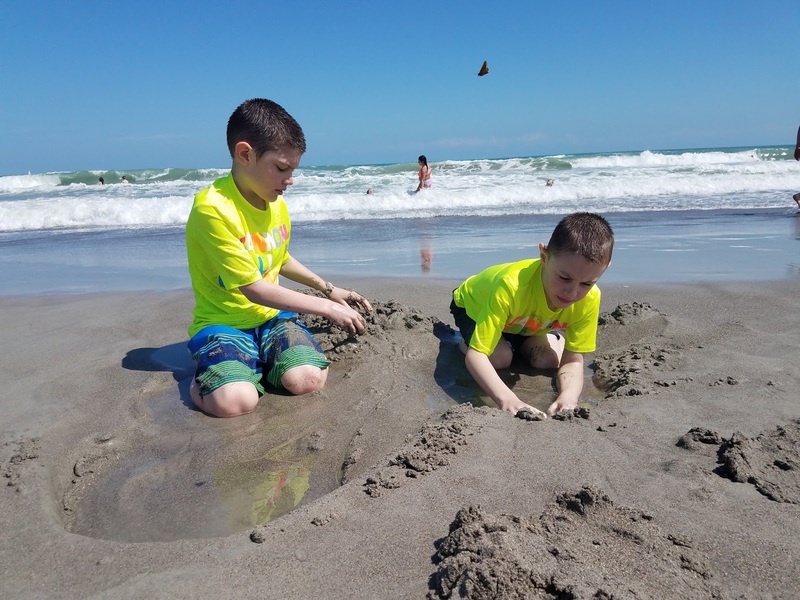 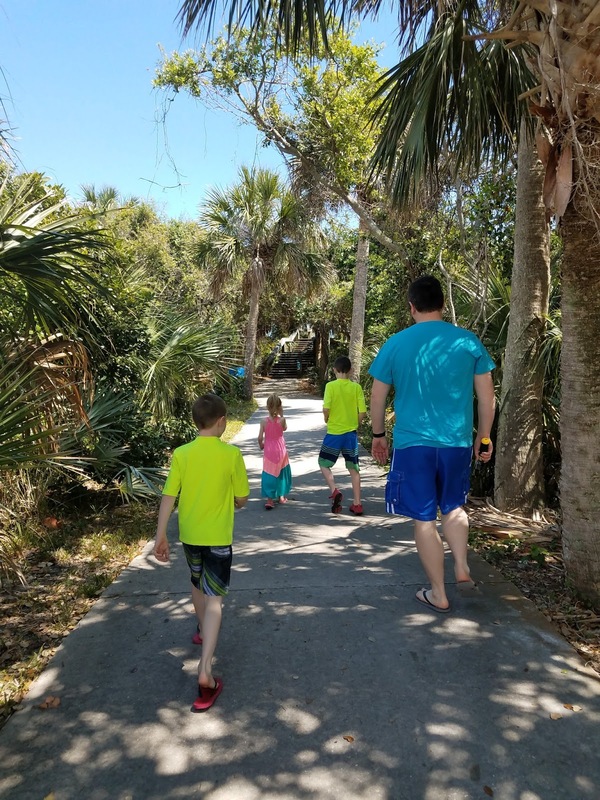 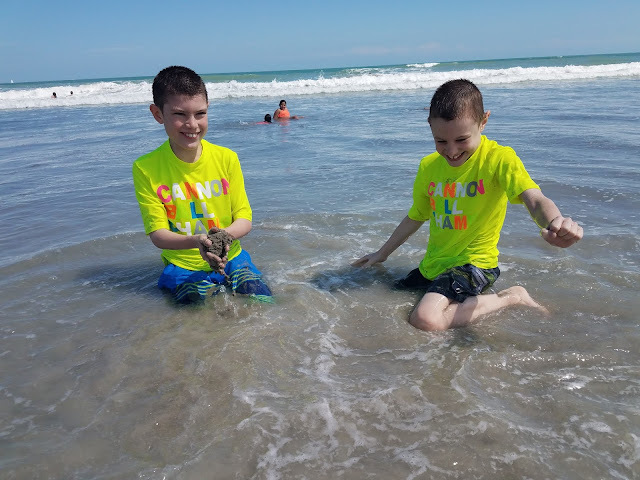 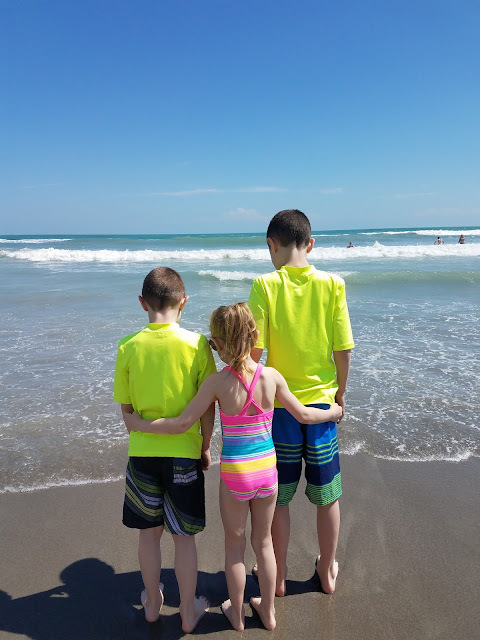 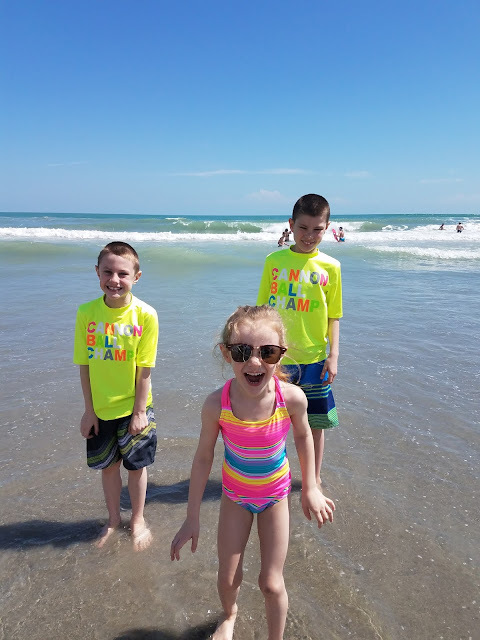 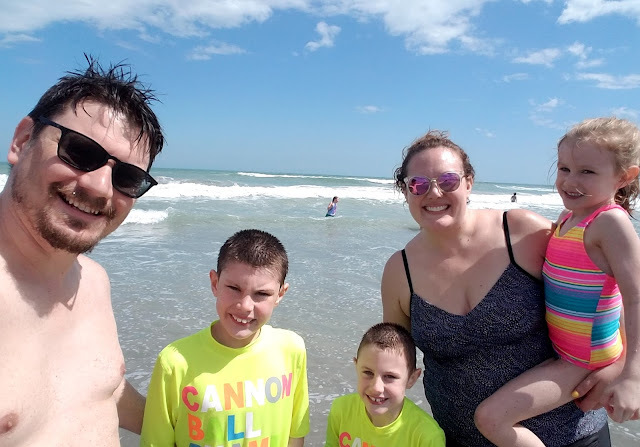 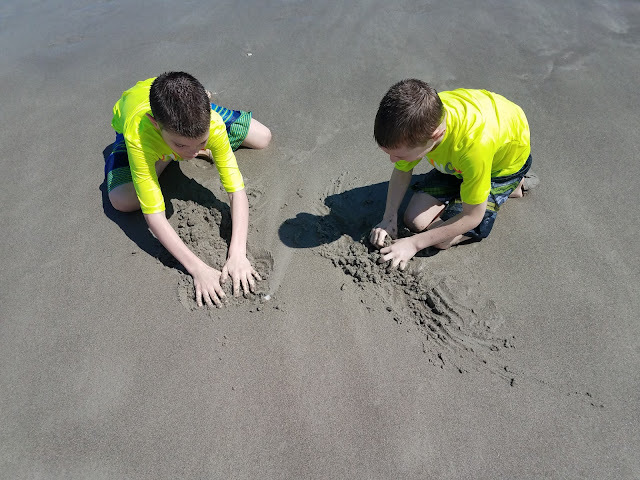 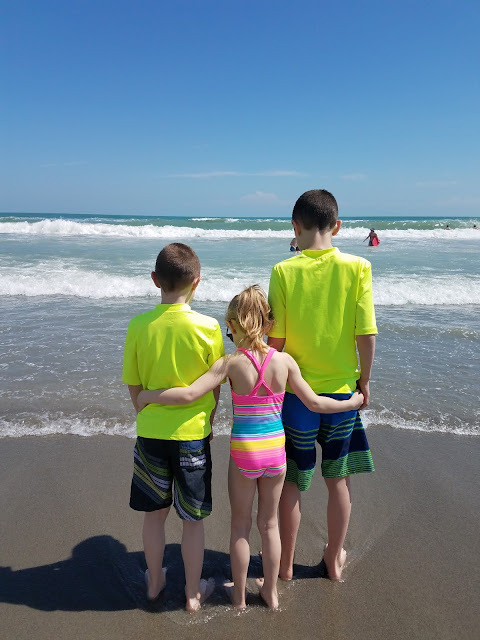 We were staying in Miami that night, but Hubs and the minis were too excited to see the ocean that we drove an hour east and went to Cocoa Beach. 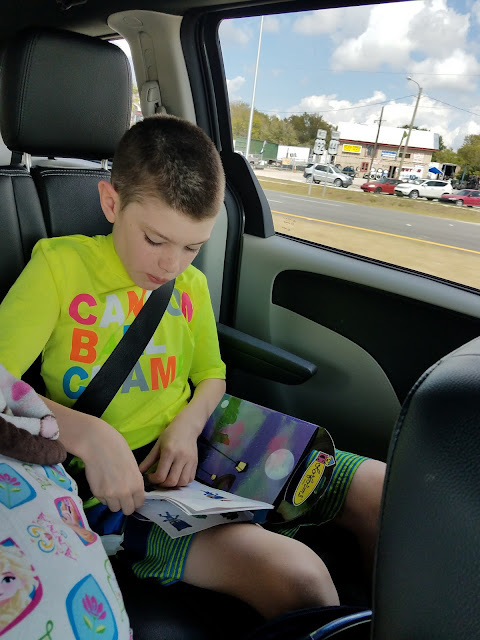 Colorforms kept the minis plenty busy on our car rides throughout the trip. 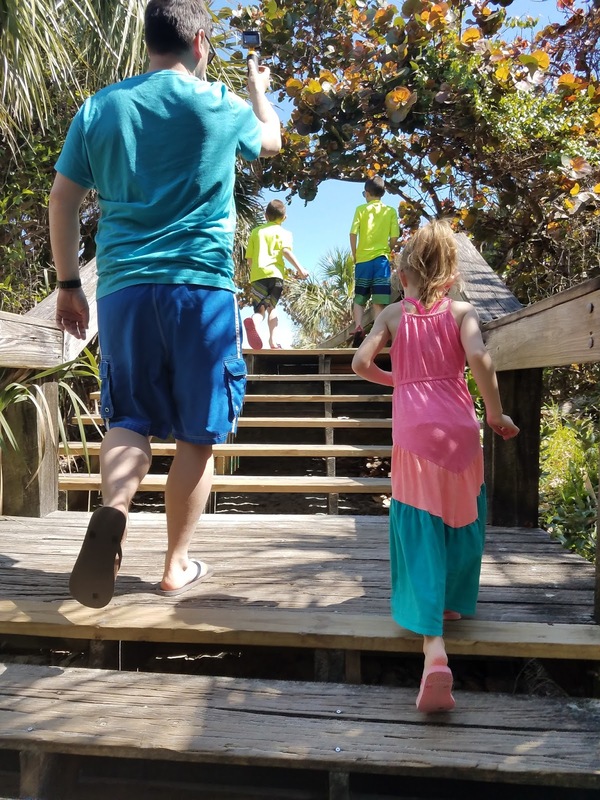 I love these series of pictures of them walking to the beach. 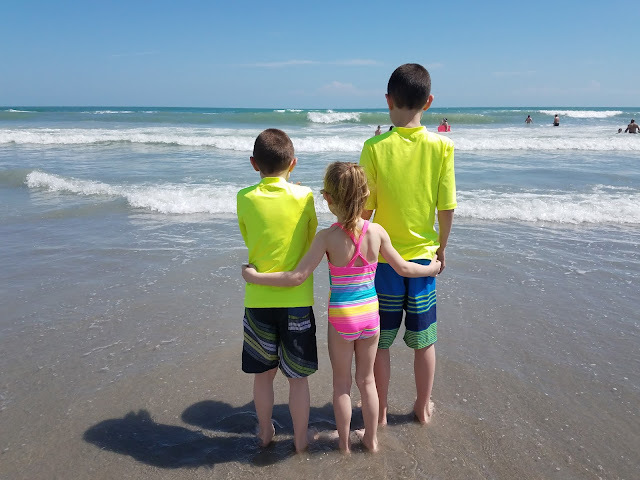 Hubs and the minis had never been to the ocean and were anxiously awaiting their first sight of it. Their first up close and personal look at the Atlantic ocean. 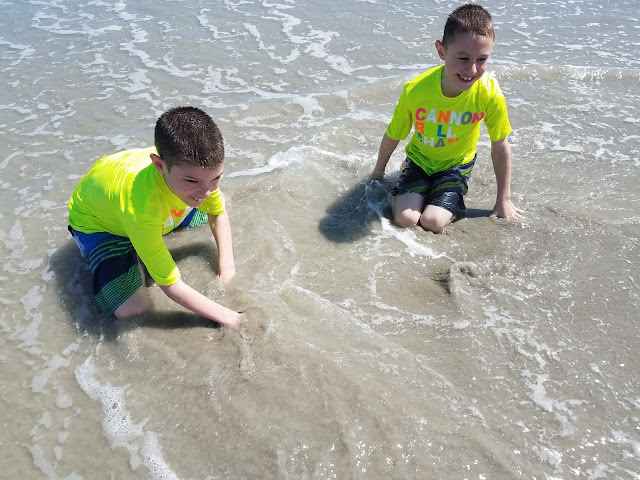 I loved their reactions to the ocean hitting their feet for the first time too. 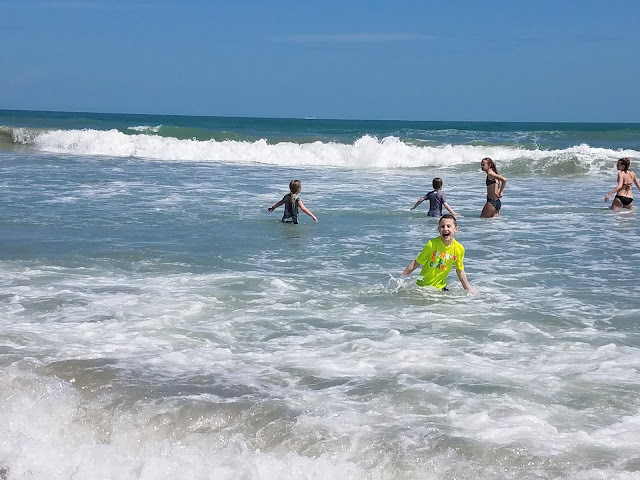 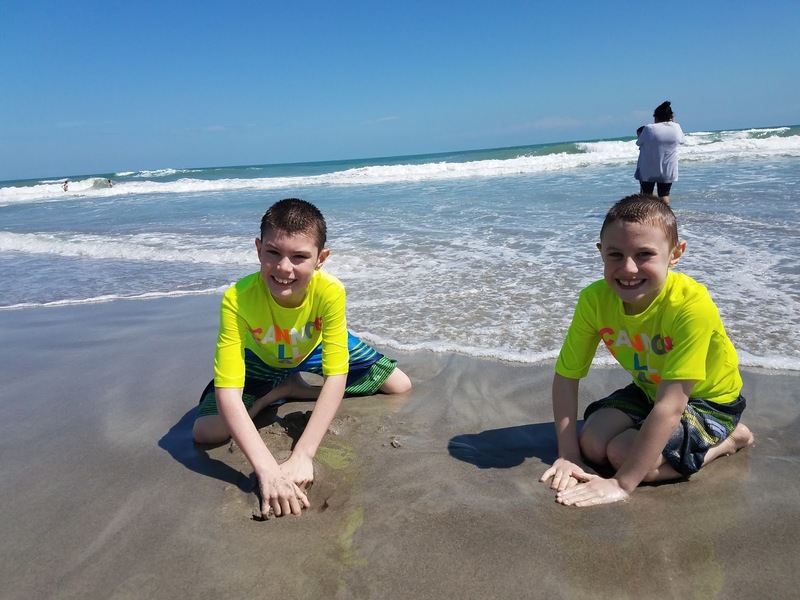 Cocoa Beach was everything I dreamed of when I thought of their first time in the ocean. Soft, sandy beach, huge waves, sandcastles, and seashells. 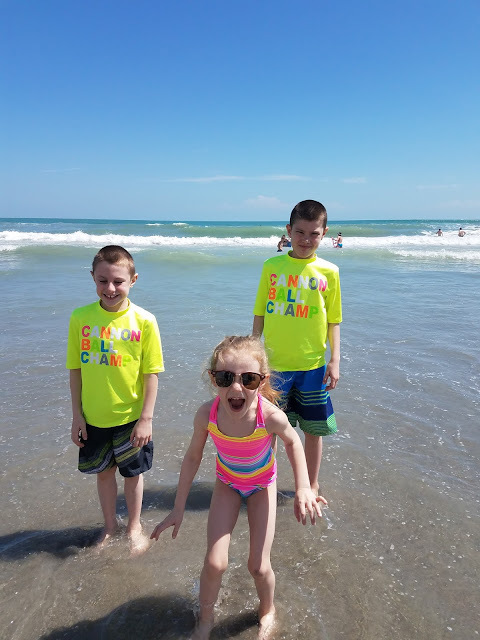 Elizabeth actually wasn't a big fan of the ocean and didn't like to swim in it. 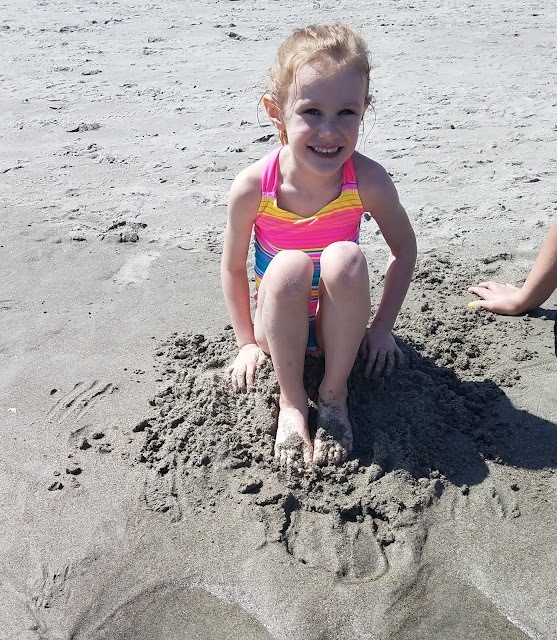 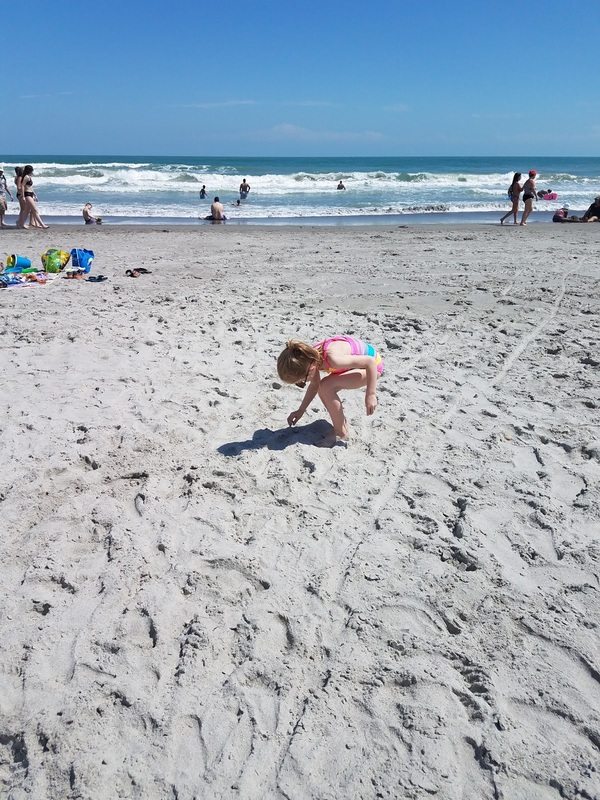 She did like playing in the sand and finding seashells. 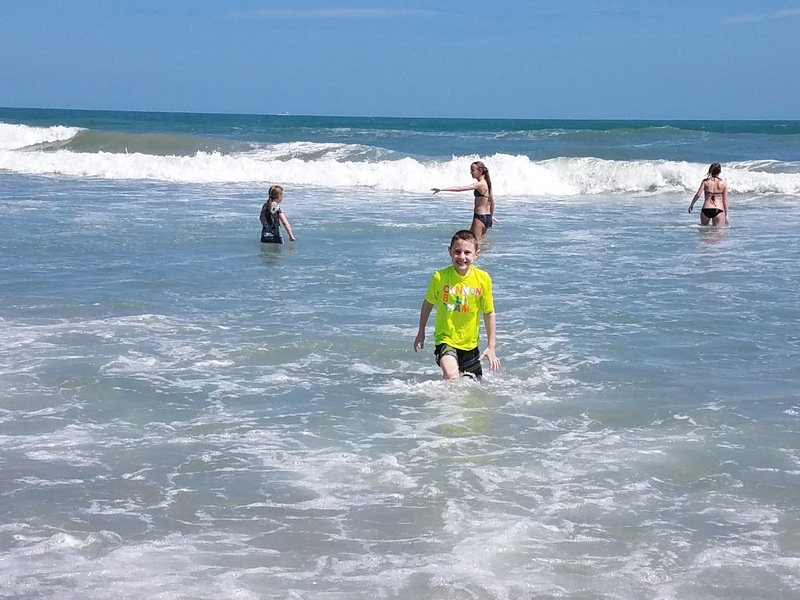 A LOT of seashells. I failed to bring a pail or something to put the seashells in. 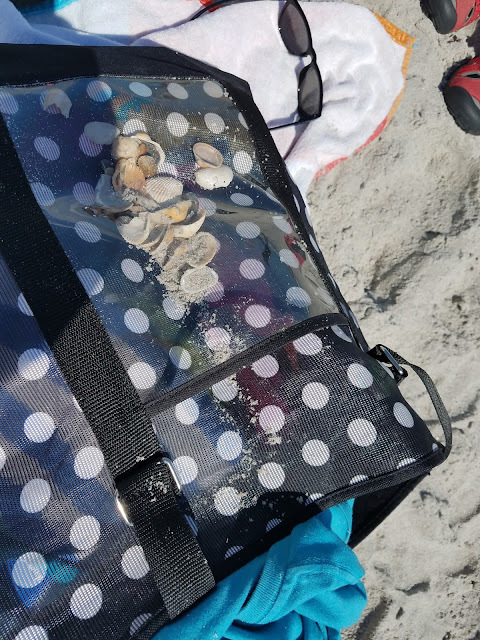 Luckily we had extra pockets in the beach bags! 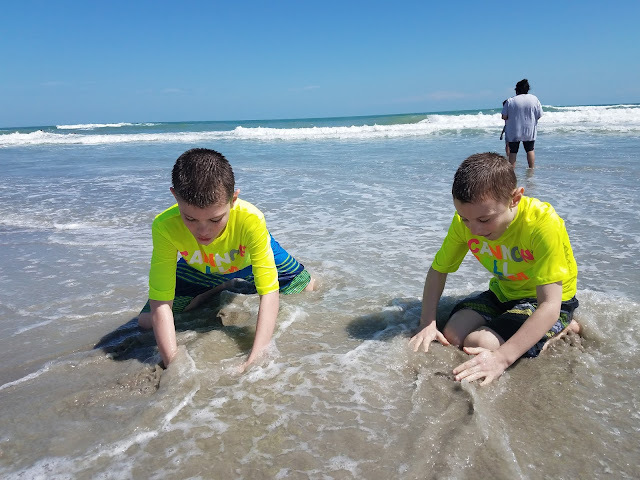 The boys on the other hand LOVED the waves. 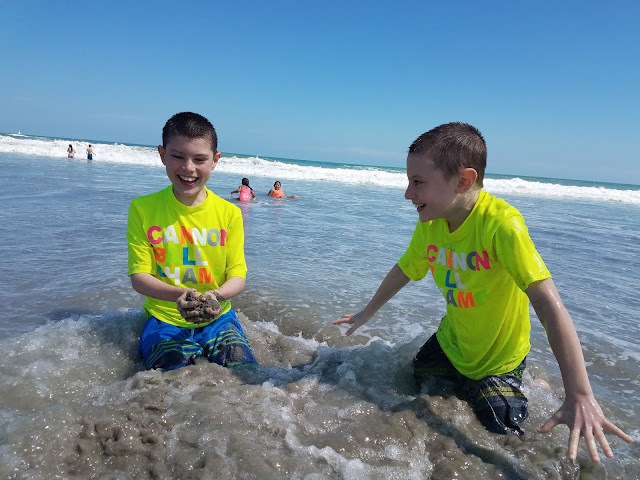 I laughed when they both got their first taste of ocean water! Look at those happy smiles and laughs! 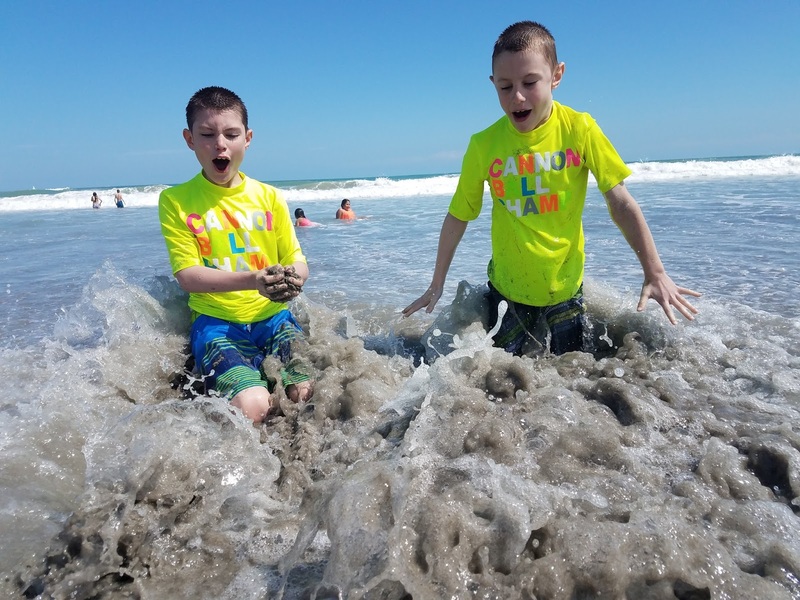 Their reactions when the water kept washing away their sandcastles was priceless. Elizabeth made herself a chair with the sand. This first ocean meeting was everything I had dreamed about and more. 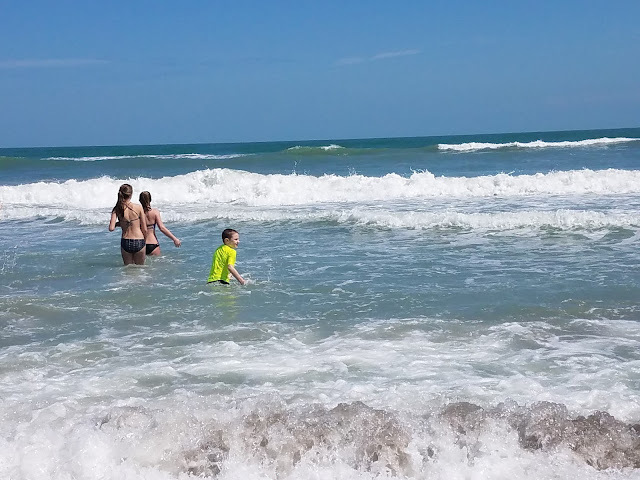 It was an absolutely perfect three hours in the sun, sand, and crashing waves. 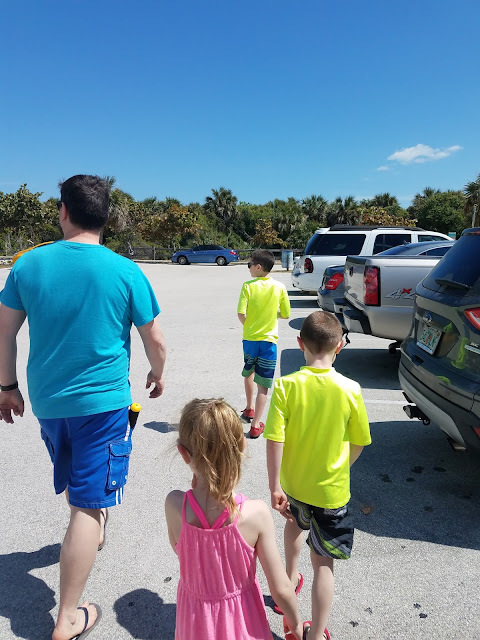 After everyone was tired (and slightly red), we walked back to our ride, made lunch (a small cooler filled with deli meats, yogurts, hummus, and guacamole saved us from needing to stop for lunch somewhere), and traveled the three hours to Miami. We tried to take A1A as long as we could so we could get those ocean (and bay) views. 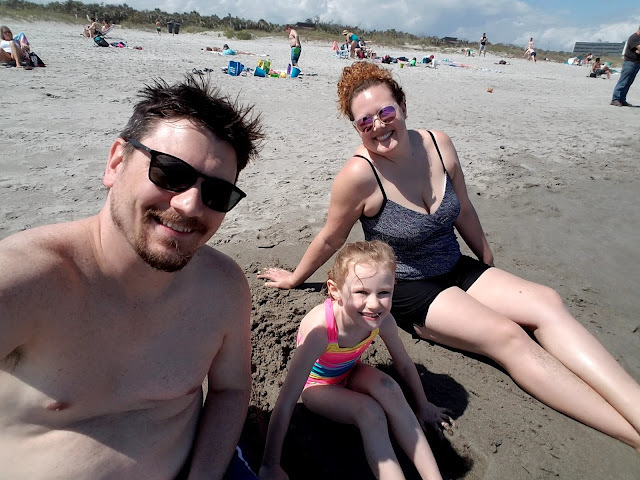 Something we learned real quick as we drove through Florida: we need sunscreen even in the car. 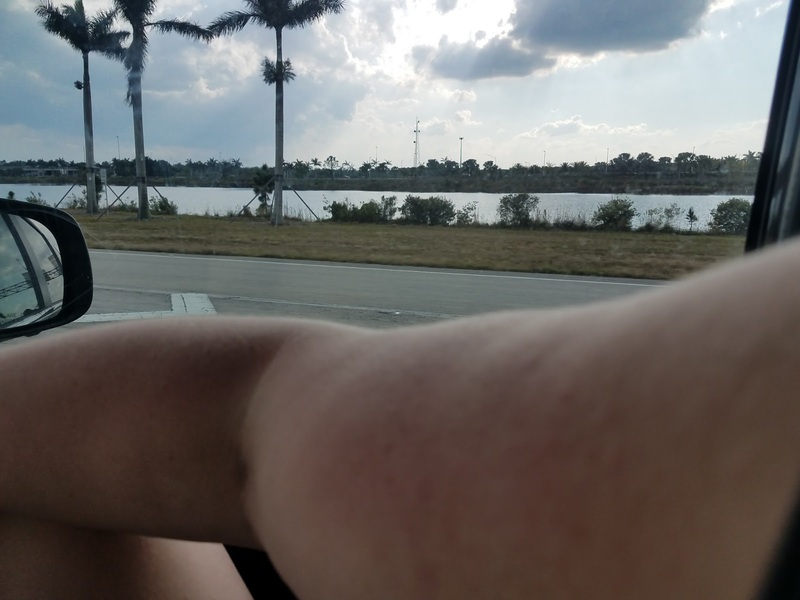 My right arm got burned as we drove through the afternoon into Miami. Oops.